The EZ 20' Pop Up trade show display presents us with the Serpentine model. The Velcro panels serve as a perfectly seamless canvas for all of your exhibit needs. This model consists of two 10' displays that work together to create a fantastically designed S-Shape, and can be separated if needed for further versatility. 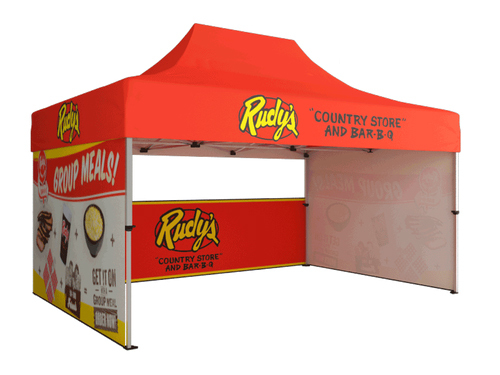 Add a graphic podium wrap, shelves, or an LCD mount to bring this 20' trade show display into the forefront of your presentation at your next event or trade show.